Because gutters are ‘out of sight, out of mind’ I’m called when there’s absolutely no room left for stormwater. By this stage small plants and grass are clearly visible on the roof. And what I find is a long, sodden, root-bound mass of considerable weight, completely blocking the downpipe and extending the full length of the gutter. This I remove by hand, then come back through with the gutter-vacuum to pick-up the fine slurry (gloved-hands can’t get that). Sometimes there’s just a dry crust baked hard against the gutter. In this case I use the vac straight away; there’s no better tool for removing dry debris than a gutter-vacuum. Whatever the state of your gutters - whether full-ecosystem or dry crust - it’s best to check them regularly and keep them clean; many problems stem from stormwater that can’t escape your gutters. Want a free inspection to see what's alive or dead on your roof? 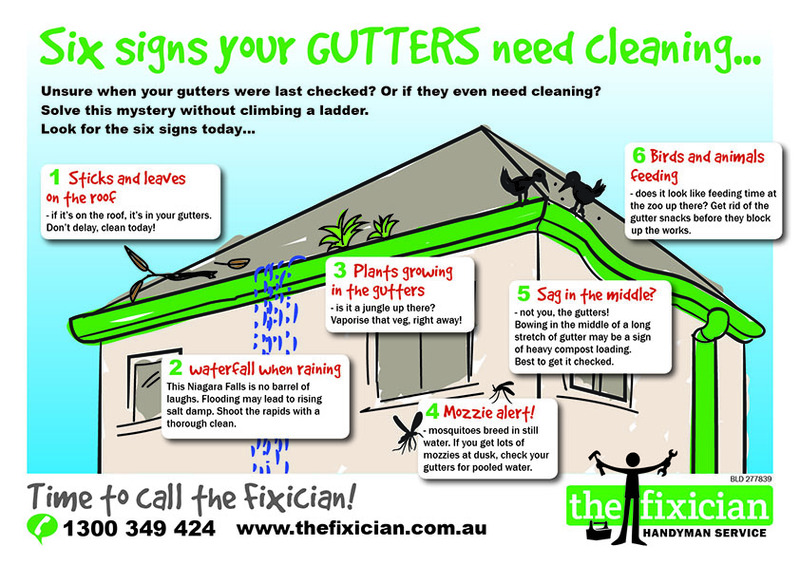 Plan your annual gutter-clean: get our free Seasonal Calendar now.